Ford continues with its traditional exterior refreshments, since the first Explorer model was introduced. Most of the changes came to the front section with redesigned headlights, slimmer grille that comes with active shutters that close automatically at certain speeds, which makes this model much more aerodynamic and therefore fuel efficient. With a new grille this model looks much more sophisticated, than its predecessors. Newly introduced Platinum trim level will come with larger wheels and all LED headlights. 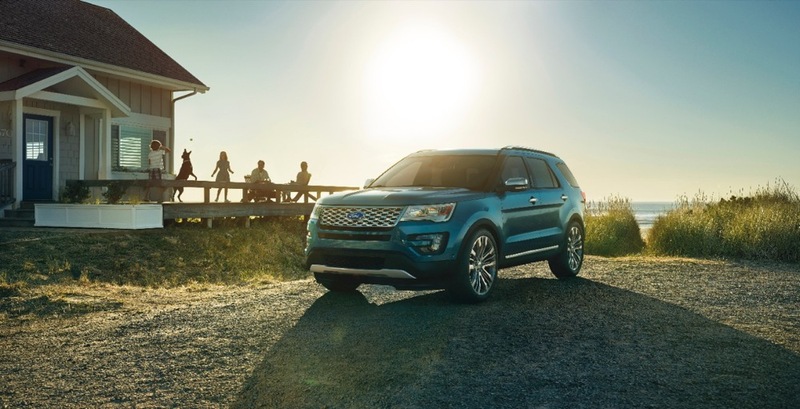 2016 Ford Explorer wheel wells will come with new feature called the “air curtains” these things will make the aerodynamic drag lower, which increases fuel efficiency. You can see similar tech solution in the new BMW X5 M.
One of the biggest updates inside the cabin are improved door seals that make 2016 Ford Explorer’s cabin much more quiet. Interior is additionally isolated from the engine vibration and sounds with the special engine vibration absorbing mounts. Since this year Explorer Platinum became part of the line up, and this trim level will come with more interior features, which will make him match luxury cars in this segment. It will also come with much more quality materials, from leather upholstery, to satin finished wood and aluminum on the door and dashboard trim. There’s also a heated steering wheel, with an aluminum Ford logo on it. Audio system that comes with the Platinum trim level is mighty 500 watt Sony that’s described being:”Live Acoustic and Clear Phase Technology”. It stops sounds from dispersing around the vehicle and increases their fidelity. This trim level is going to be much more costly than the base version. It is going to start at $53,495. New Ford Explorer will come with larger EcoBoost engine, which is the complete opposite to the ongoing trend of making smaller and agile turbocharged engines. Its engine will grow in size from 2,0 liter to 2,3 liter, and this will affect this vehicle’s performance increasing it to 270 horsepower and 300 pound feet of torque, which is 30 more horsepower and pound feet of torque from the last years model. Same 2,3 liter EcoBoost we saw at the current Ford Mustang model. Base trim level still comes with a regular V6 and on the top of the line there is a mighty powerful EcoBoost V6 unit. Unfortunately the new engine will lost some of the fuel efficiency last year’s model was famous for. Last year’s 2,0 liter was by far the most fuel efficient Explorer up to date with its 23 mpg in combined conditions, measured by EPA. 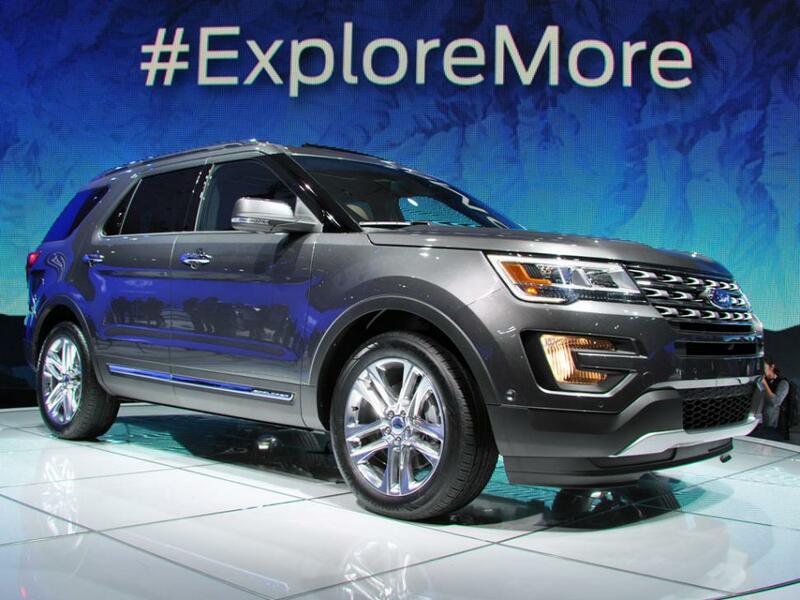 We expect the slight decrease in this criteria from the 2016 Ford Explorer with 2,3 liter EcoBoost engine. Last year model’s engine offered much smaller output than its V8 predecessors, this is one of the reason why Ford decided to increase its size. Its acceleration was very weak comparing to the good naturally inspired sixes and eights. New 2,3 liter can easily compete with V8 when it comes to both power and acceleration. 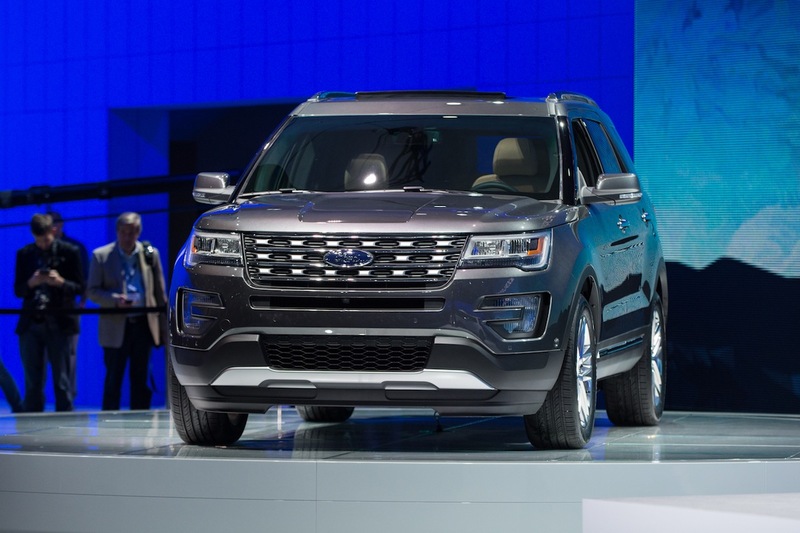 One of the nicest things to hear is that the new Ford Explorer is going to cost the same as the last year’s model in spite of the redesigned, larger engine and new features. Base version will start at $30,700, while the XLT trim level is going to start at $33,400. On this link you can download owner’s manuals for Ford Explorer models made from 1996 to 2013. How Much Tax Deduction Do I Get For Donating Used Ford Explorer To Charity? These figures are for the 2001 Ford Explorer, base trim level which is in average state and has 250,000 mileage. 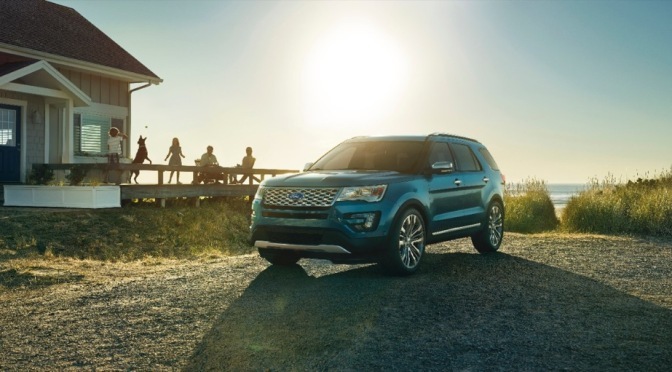 Nationwide average insurance rate for Ford Explorer base trim level is $1,213 and $1,221 for the version with EcoBoost engine. Depending on the state this rates may vary. What Girls Think About Ford Explorer? Previous PostCars from American GraffitiNext Post2016 Jaguar F Type AWD Performance, Interior, Exterior, Price etc.